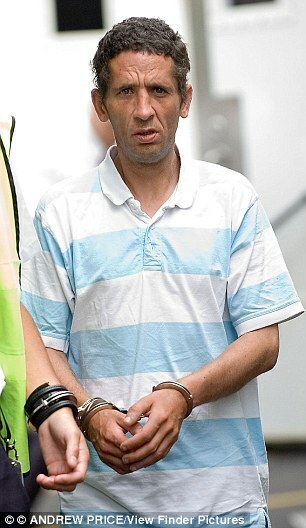 In July 2013 Andrew Gwndaf Jones appeared in the Magistrates’ Court charged, not for the first time, with shoplifting. Like many defendants in that position, he wanted to get bail. His story was a bit more creative, and more of a tug on the heart strings, than the usual “I’ve got a job starting on Monday”. Mr Jones begged the Court to grant him bail so that he could attend the funeral of his daughter. Presumably being a decent man, the Judge, DJ Shaw took pity on Mr Jones and granted him bail whilst a report for his sentencing hearing was prepared for the Court by a Probation Officer. All would probably have been well had Mr Jones lived in, for example, London, but his home town is the sort of place that still has a local news reporter in Court, who duly wrote up the story. When it appeared in the paper, the tragic story was read by his former partner. And their daughter, who was very much still alive. After various people had contacted them to offer their condolences, the police were contacted. After initially denying it to the police, Mr Jones accepted that he had put forward (or told his lawyer to put forward) the story a fake story to the Judge in order to get him out on bail. As a result he was charged, and pleaded guilty to, Perverting the Course of Justice. He was sentenced to 10 months in prison (presumably from a starting point of 15 months, to allow for the plea of guilty). This was an unusual case of perverting – a search of the databases doesn’t throw up another case where someone was prosecuted for lying in order to get bail. Although it would be somewhat naive to pretend that it has never happened before, it must be pretty rare to get caught. The criminal courts really, really don’t like this sort of behaviour, and so it is not surprising that Mr Jones got a custodial sentence, and one of some length. The closest case we are aware of is Mackenzie  EWCA Crim 2088, where a step-father pretended to be his step-son who had to be electronically monitored. The Court of Appeal said the proper starting point was two years. That case was more serious than that of Mr Jones because this enabled a person to escape punishment, rather than get out on bail when they otherwise would. Whilst there was no real harm done in Mr Jones’ case (in reality, mainly some wounded pride for the Judicial system), the sentence was what would be expected, if not a little less. For that reason, we would not expect an appeal to be successful. This entry was posted in In the news on 28/09/2013 by Dan Bunting. I’ve herd of Narcotics Anonymous but what this man needs is Incompetent Bloody Liars Conspicuous . . .
Oh damn and BUGGER the Mac keyboard, I can spell heard, honest I can.